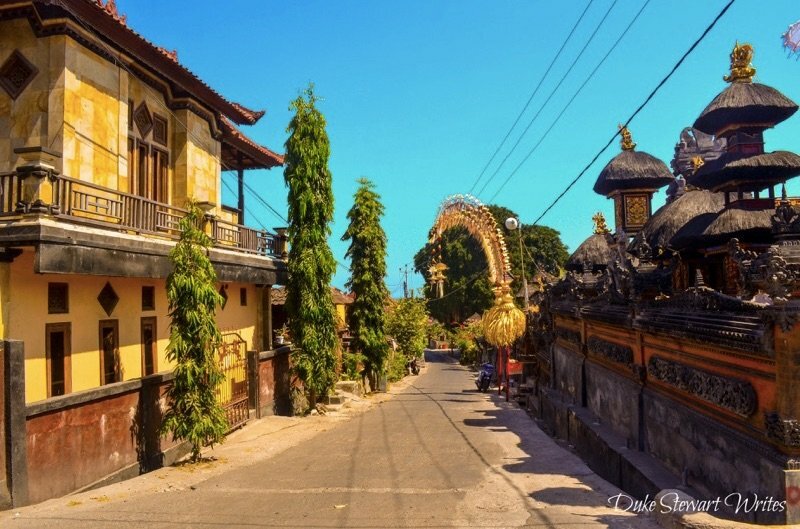 Is Nusa Lembongan the Real Bali? We headed further southeast in Indonesia from Bali towards salvation, hopefully. The fast boat to Nusa Lembongan handles better than its Gili-bound brethren, though I’ve lost all faith in these machines by now. Instead of a shipwreck-related movie, my hopes for more optimistic onboard entertainment are dashed as Jurassic World plays with no sound. 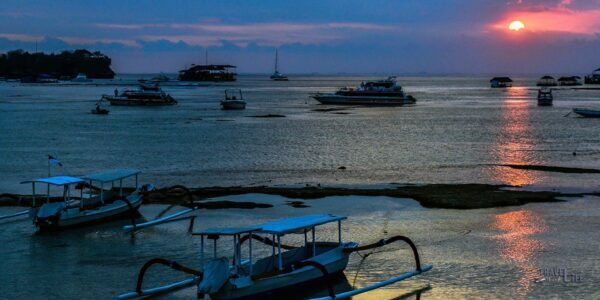 This article about Nusa Lembongan is a part of our series on Indonesia Travel and Southeast Asia Travel. It was originally created on February 19, 2016. It has been maintained and updated (as of December 27, 2018) to reflect current viewpoints and travel trends. Maybe they’re trying to tell us that disasters only happen in movies but please, can we have something more relaxing for these rides already?! Each crashing wave coincides with a dinosaur attack on some unsuspecting visitor and my stomach fights to stay still. The captains of these boats either think we’re all adrenaline junkies or just want to torture us even more as the boat jumps and skids its way towards the destination. My heartbeat eventually drops to a normal rate as the boat slows and approaches a group of large karst rocks. Nobody says anything and since I’m mostly enjoying the current lack of movement, it doesn’t occur to me that we have to get off the boat and now. We’re allowed on the new ride that’s hopefully destined for Nusa Lembongan. If I were to say that this ride was overly comfortable, I’d be lying in the most outstanding way. The boat runs smoothly but I’m hard-pressed to find someone not worried about the amount of weight sitting on it. I gently glance overboard to see that we’re in very shallow water. We failed to realize that this company (Scoot) only takes people to the more isolated side and not to the island’s main port. After passing through this tiny channel that runs between Lembongan and Nusa Ceningan, I’m still trying to figure out if this trip was worth leaving Gili Air. Both sides of the channel look relatively untouched and give me some hope that this isn’t as touristy as Ubud. The boat approaches the makeshift port and we notice some pickup trucks waiting. Using Coca-Cola plastic storage containers as steps, we descend from the boat and grab our bags. There’s no time to thank the heavens for landing us safely because we have to figure out how to reach our hotel (Villa Bagus) that’s not recognized by the drivers. My legs creak as we climb onto the back of a 90s model Nissan truck that’s covered and protected by metal rails on the sides. Should I be worried? I don’t have time to think as the truck begins its ride that will hopefully take us to a more relaxing place than this. After passing groups of Hindu temples and winding curves that leave us all just as squeamish as the boat ride, the truck pulls past a colorfully decorated cemetery and into a driveway. The drivers explain that it’s up Jungut Batu Hill that sits in front of us, and up what seems to be hundreds of stairs that are best navigated without the two heavy backpacks my wife and I are carrying. Eventually reaching the top, I look back and realize that this view is absolutely worth all the trouble that we’ve endured getting here. This will be the last clear day thanks to the Indonesian haze that will take over Southeast Asia but right now, there’s a clear view across the water to Bali and Mount Agung towering above it. Some of the largest waves I’ve ever seen are continuously advance into water far from the shore. Without much prompting, we throw our things to the ground and just marvel at this beautiful sight. If this view indicates anything about our time here, it’s convincing me that Nusa Lembongan is worth the trip. 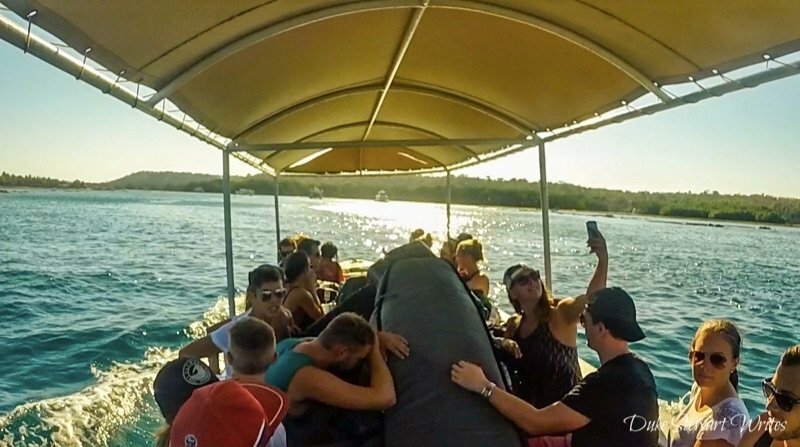 We chat for a bit with the others who are staying there, made up of a couple of French couples who are bouncing around Bali and have stopped in Lembongan to dive and meet the famed mola mola that roams around these parts. Abstaining from a motorbike for the first day, we stick to walking because there’s a nice coastal path that leads to Mushroom Bay (Pantai Tanjung Sanghyang). From there, we rest and absolutely nothing gets done aside from eating and drinking whatever is within close reach. We watch as boatloads of tourists take off towards the intense waves. Our spot near the water never gets disturbed until about noon as everyone seems to wake up from whatever fun was happening the night before. I completely forget about the boat from yesterday and things slow down to the exact pace I found on Gili Air. Days pass with very few accomplishments, including renting a motorbike for a day and snorkeling. 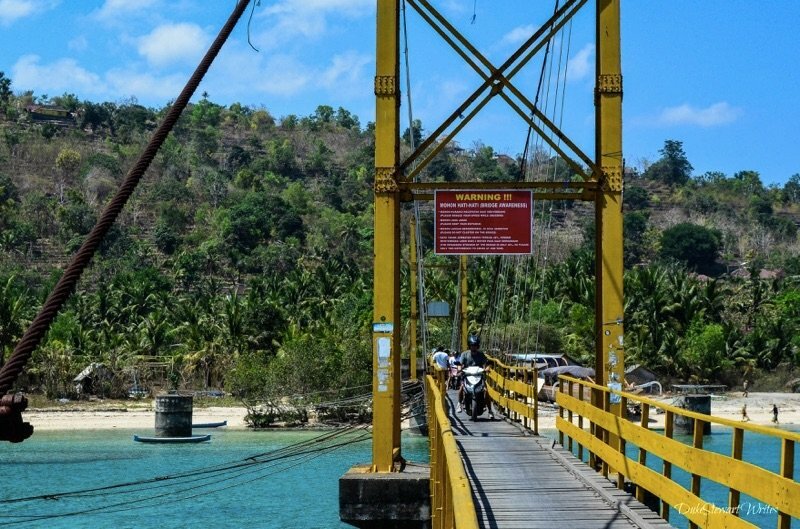 We drive over the picturesque suspension bridge to Nusa Ceningan and ride around those roads for a while before stopping at a café for a bite and look at the ocean. My only gripe with Nusa Lembongan lies the lack of local options with spice and flavor losing out to the bland desires of the masses on this and many other menus. Every place guarantees a beautiful view but there’s always some lackluster and overpriced chicken cordon bleu on the menu. The sun lights up the blue-green water and we decide to head back towards Nusa Lembongan and Dream Beach that’s just a short drive away. The tiny bay that pours in consists of torrential crashing waves that eventually run into a tiny patch of sand. Some people are venturing into this water that would scare off the timid and fearful. 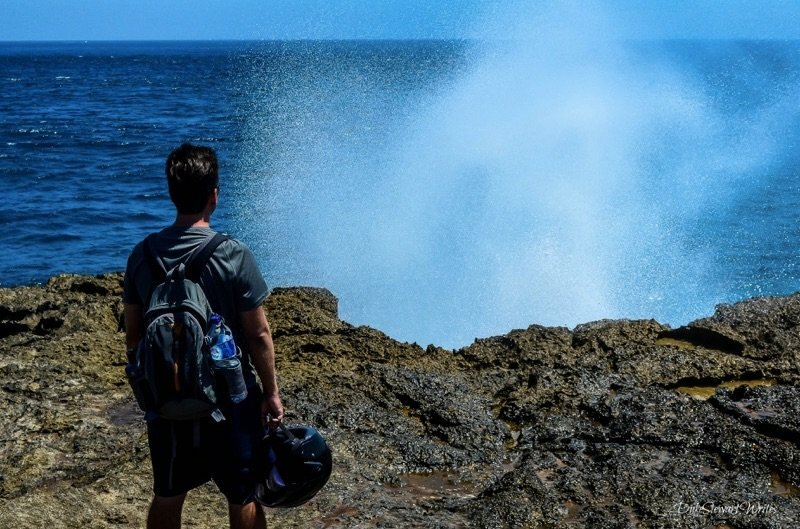 We venture towards Devil’s Tear and experience some of the coolest crashing water I’ve ever seen. I never want to leave this point after watching the massive waves slam against the rocks from all directions. We stay for as long as possible and head back to our place and stare at Jungut Batu below. Days turn to blurs as somewhere along the way, we hitch along with a bunch of scuba divers and snorkel through the beautiful waters off Nusa Lembongan and Nusa Penida. After driving around the island and trying to see as much as possible, we have one more day before returning to Bali. Nonetheless, I drive through the night in search of some good food, finding just that at Warung Bambu. Remaining present and in the moment are more important tonight, so we elect to leave the camera at home. We eat almost all of Warung Bambu’s barbecue fish selection and kick ourselves for not finding this place sooner. Maybe we can put off that boat to Bali? I think. The next morning, we pack bags and preparing for the journey back to the boat dock, though it’s much easier going down those steps than up. I really have to tell them to change their playlist but forget as someone signals that the boat is ready. The memories start again as the boat pulls away and this time, to the tune of some ‘90s pop-punk that’s a bit lower key than dinosaurs wreaking havoc on the idiots who visit them. I hate these boat rides but they easily lose to the wonderful moments we’ve spent in Nusa Lembongan. 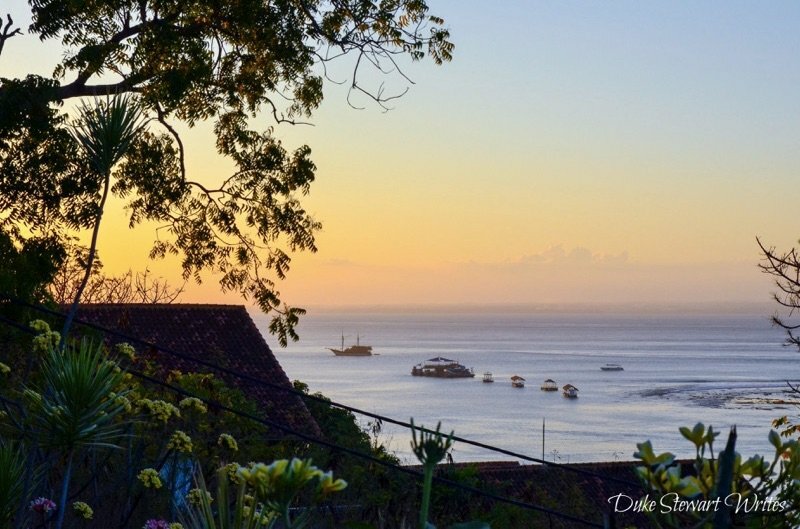 Mornings relaxing on the hill and staring at Bali from our perch is one. Nights spent walking along the beach to witness spectacular sunsets will and the days that preceded them are what will always remain in my thoughts about this place. I want to be there walking along the water early in the morning and feeling the heat coming. In all honesty, who who cares about whether or not a place is the “real Bali”? We spend too much time measuring destinations against each other. If you put a gun to my head and I really had to say anything about Nusa Lembongan, I’d mention that it’s as close to that idea of the real Bali as a place can get. What do you think? 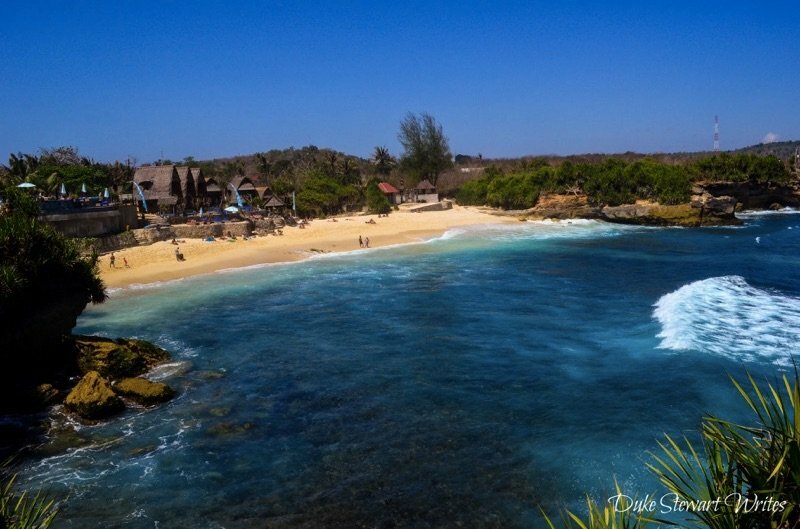 Ever been to Nusa Lembongan? I’d love to read your thoughts in the comments section below! i’m Indonesian, Bali is a wonderful Island. 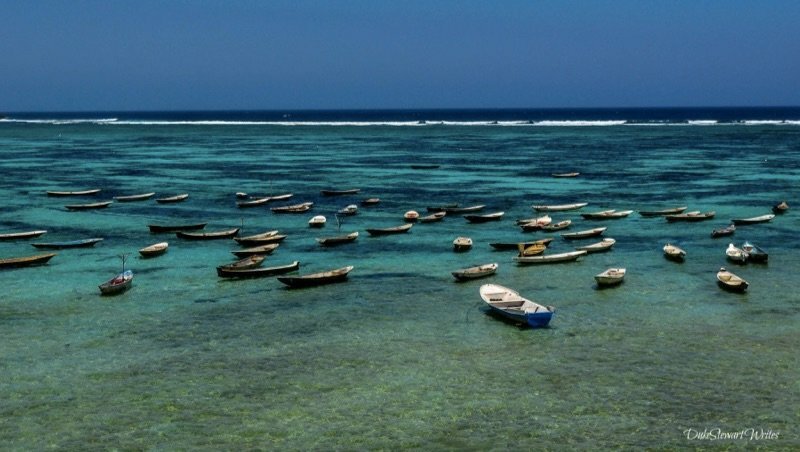 maybe you must visit many other island in Indonesia! thanks for sharing about Bali. Thanks for stopping by. I totally agree with you that I should explore more islands in Indonesia. Bali and Gili were pretty awesome but I want more! Have any recommendations for future trips? Thanks, Vanessa! I hope you get to go there and visit sometime. Should be a short hop from Langkawi, huh? Though I bet it’s tough to convince yourself to leave that paradise, lol. Let me know if you do visit Nusa Lembongan. I’d love to see more photos and words on that place! Wow, that boat ride sounds awful. 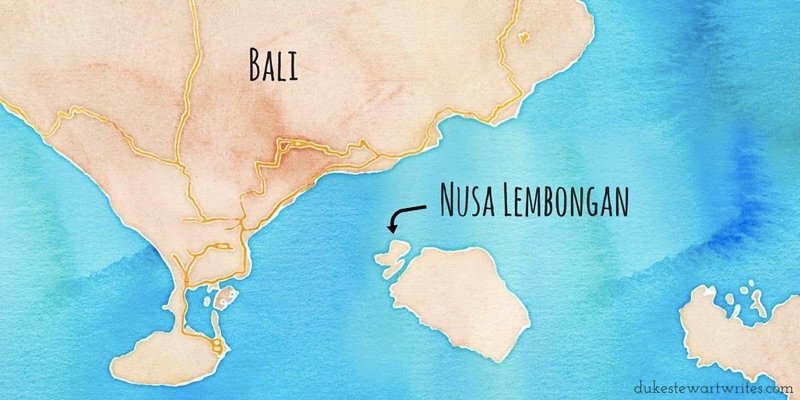 But, Nusa Lembongan sounds like a place we need to visit! We only visited Bali for a week and stayed in one area, but we have the itch to go back and explore more. 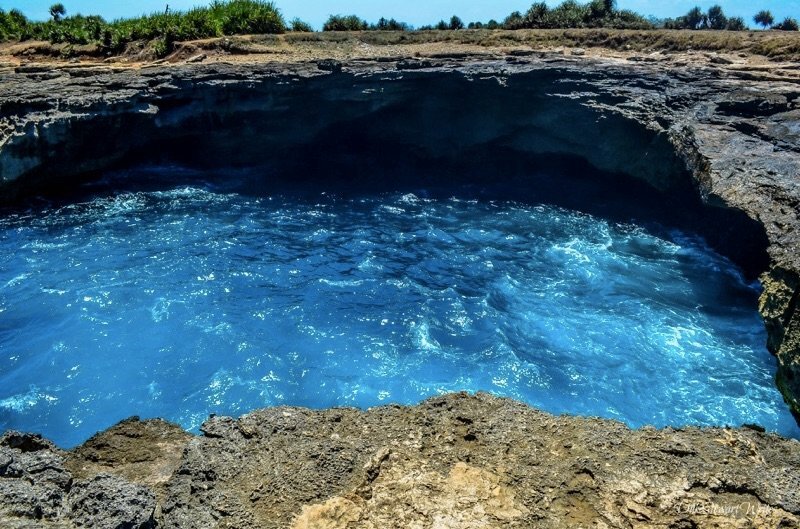 Thanks for sharing your beautiful photos and wonderful story about your time there! Hi, Megan, and thanks for the kind comment! I feel like we might’ve stuck to the same spot in Bali (Ubud) but for 4 or 5 days, I can’t remember. Haha. I remember some epic Monkey photos from you guys around that time. 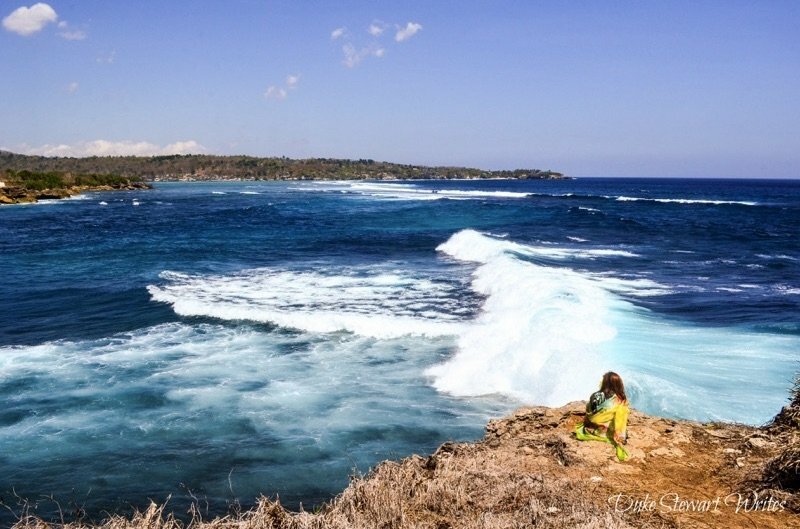 Yeah, definitely come to Nusa Lembongan but avoid the high season in these places, as you probably know. That’s when all the folks like to come, especially to Bali. I fear Lembongan gets crazy during that high season so yeah, that’s all I’m saying. All the best if you guys do make it there. Having visited Bali, Lombok and the Gili Islands, we were very interested to hear about Nusa Lembongan. (And we know those high-speed boats you talk about! 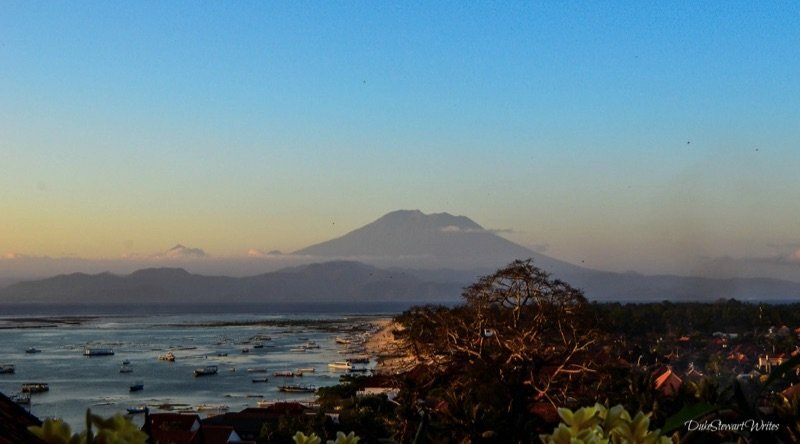 BANG, BANG) We may be returning to Bali, and if we do, Nusa Lembongan will be in our travel plans. We just hope it will still be as serene as you describe – Googling reveals “it’s fast becoming one of Bali’s top attractions.” We were a little disappointed in the Gilis (especially the biggest island). It was supposed to be “undiscovered” – but the crowds staying there hadn’t read those guidebooks and blog posts. I’m a little worried after hearing those types of descriptions. If you’re visiting during the high season then yeah, I bet that’ll be the case. We were fortunate enough to do most traveling during the shoulder and low seasons, which is kind of a credo I try to stand by. Either way, I found Lembongan way more chillax than Bali after about a week later, sandwiching a stay in Gili. 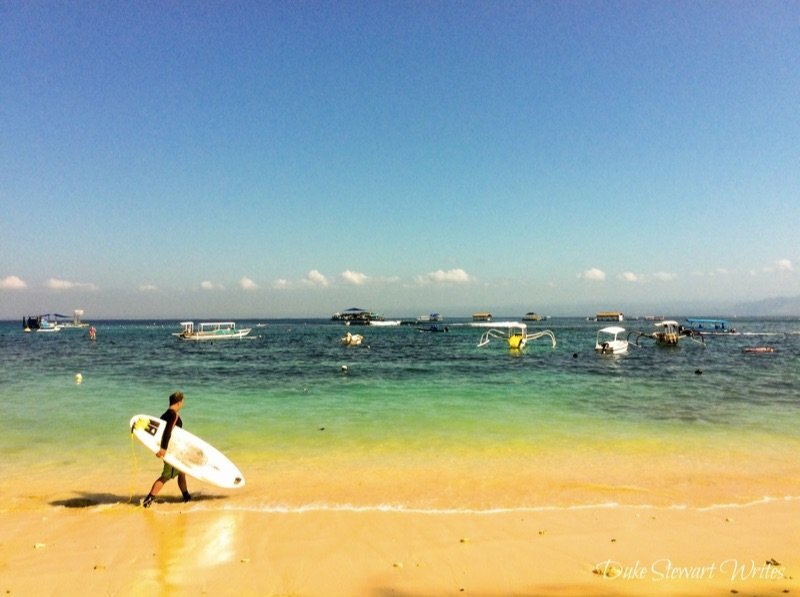 Let me know how it goes and I hope you find Nusa Lembongan as awesome as I did.